Poland does not want to isolate Russia but it does not agree to the lifting of sanctions against Moscow amid its breach of international law in Ukraine. 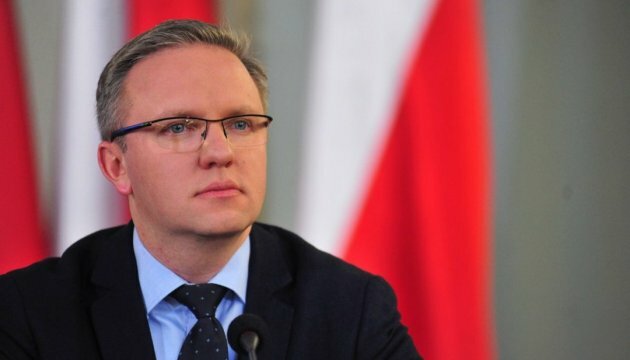 Secretary of State at the President's Chancellery Krzysztof Szczerski said this to PAP news agency, commenting on the NATO-Russia Council meeting, scheduled for April 20. "We [Poland] consistently oppose the isolation of Russia. However, it does not mean that we support the lifting of the sanctions," Szczerski said. He stressed that the NATO-Russia meeting did not mean the transition to the normal relations between Brussels and Moscow, which had been prior to the Russian aggression in Ukraine. "The idea is to strengthen the communication channel for the Russian side to receive from NATO a precise, clear answer that NATO is the alliance that will take care of safety of its immediate environment. NATO is obliged to inform the Russian partners that peace in Ukraine is the element of the normal interest of the Alliance," Szczerski stressed.